In 2014 “inbound marketing” is all the rage; but does that mean traditional SEO techniques like link building are becoming outdated or irrelevant? Absolutely not. We at Bruce Clay, Inc. don’t think so, and, based on the conferences we’ve attended in the last eight months, neither do the SEO thought leaders that teach thousands of rank-hungry professionals at search marketing conferences like SMX, ClickZ (formerly SES) and Pubcon. That said, there is undoubtedly a right way and a wrong way to approach link building – or “link acquisition” as it’s commonly called in 2014. And, like all other optimization techniques, there’s an etiquette to the art that can take some training. If you’re ready to start your training today consider these 10 link building tips a healthy dose of SMX room service. 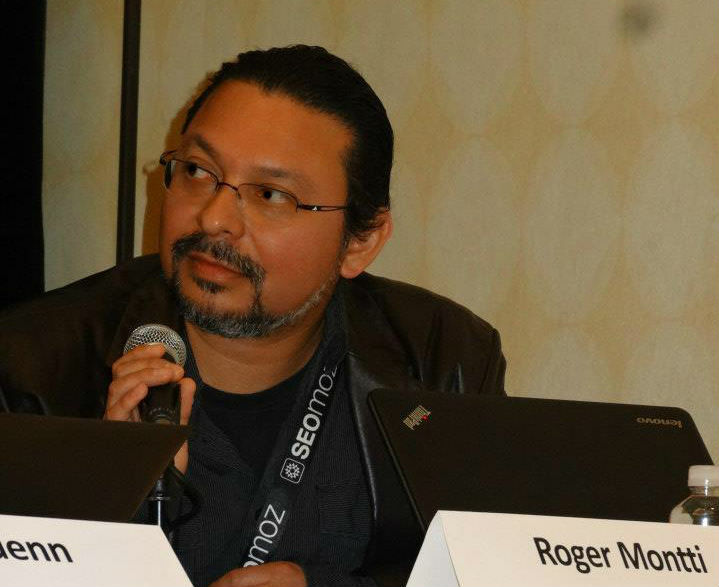 Soak up the panel wisdom; wrap your head around how to ethically approach link earning; get your feet wet; feel out the waters; and, if you like where we’re going with this, we encourage you to consider attending the Link Building Fundamentals portion of the SMX Search Marketing Boot Camp coming up just around the corner in March. Code BRUCECLAYSMXW14 will get you a 10% discount on any pass and workshop at the conference. We’ll be there liveblogging; we’d love to see you, too! 1. Since webmasters are now responsible for the quality of their inbound links as well as their outbound, it is extremely important to know and trust the people you’re co-marketing with. If you place content on someone else’s website, know the people behind the site and its history before doing so. 2. Consider using multiple formats like video, infographics and podcasts in addition to written content as a way to attract links and traffic to your website. These formats have a higher chance of going viral and can be added to social media pages for additional exposure. 3. Use content tracking software to see what appeals to your audience, how long they view it and where it travels. Doing so will give you insight that can inspire improved content development and help protect against plagiarism. Search on “content tracking” and “dynamic watermarking” for ideas. 4. Link relevance is incredibly important in order for Google to pass full PageRank juice. Make sure the links you acquire are on websites that are relevant to the niche you want to be an influencer in. For instance, a link to a dance company from an umbrella website isn’t worth much. 6. Google uses all kinds of statistical analysis to determine if a link is “natural” or “unnatural” based on a baseline of what it considers “normal.” With all the mathematics involved there’s really no way to game the system; you can’t look natural, you have to actually be natural. 7. Create a compelling reason to link to the site. Think: How is my site useful for people? If it’s not useful, make content that is useful. Then you’ll get those links. 8. When contacting a website to see if they want to publish your content for link building purposes make sure your pitch is focused, fast, and novel. If the recipient feels like your pitch is going to take 15 minutes to respond, or if it’s too high level, it will be deleted. Desperate emails get deleted. 9. Never start your pitch email with a dry introduction that looks like potential spam (e.g. “I’m an SEO company representing my client”). 10. You want the recipient you’re pitching to think of publishing your content as an opportunity — not a favor, or worse yet — work. Including mention of a response deadline in the email can help shift their mindset. If you want some more elaboration, or have a desire for link building discussion, ask and ye may just receive! 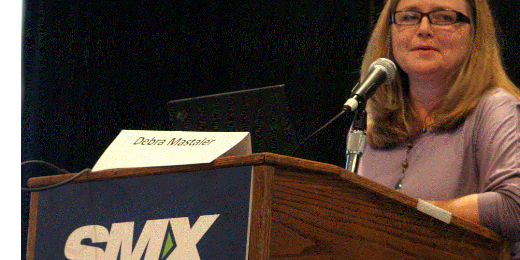 All three SMX speakers mentioned can be contacted directly via Twitter (@DebraMastaler, @MartiniBuster, and @WebConnoisseur), we’d be happy to field your questions in the comments section below, or you can catch Debra Masala for a face-to-face chat after she speaks at the Search Marketing Boot Camp on March 11 at SMX West in San Jose. Remember, code BRUCECLAYSMXW14 will get you a 10% discount on any pass and any workshop at the conference! Hi Chelsea, very nice article to read and also informative. However, as you suggest to build links via ways like infographics and podcasts, is this also not of temporal effect? Building link via ways which are more perishable, like articles and social media, are also of less long-term effect. 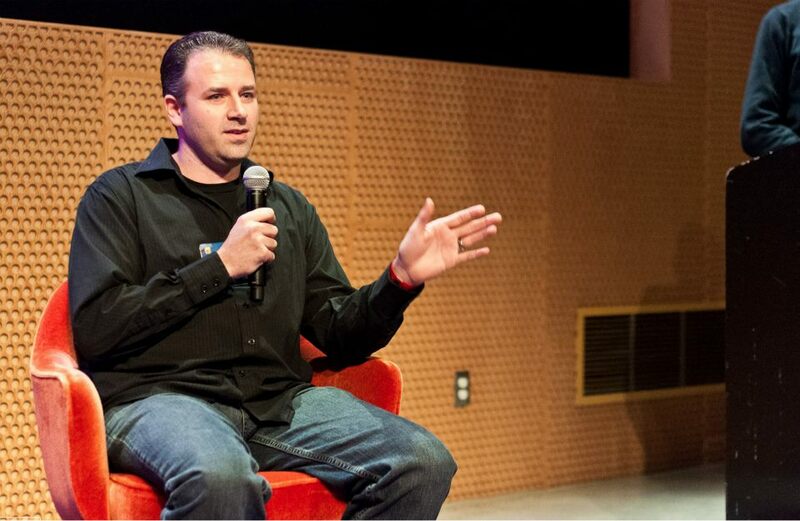 So, do you think the web is going more towards fresh content and ‘fresh’ linkbuilding? It kinda seems like it, since the directories etc are getting less appreciated. There are two primary reasons you’d want to do invest in a link building, or “link acquisition” strategy: 1) To drive human traffic to your website from places outside your website, and 2) to increase your rank via increasing your PageRank (I’m sure you know all about the deal with PageRank; if you don’t, here’s an article I wrote about it: http://www.bruceclay.com/blog/what-is-pagerank). For me, successful link building efforts need to accomplish both number one (drive human traffic) and number two (drive PR). Number one alone isn’t bad, and number two alone isn’t bad, but both together is really what you want if link building is your goal. So — that said, as long as the Podcast or the Infographic you create is housed inside a landing page that is a part of your website, and as long as the links you build to the podcast/infographic/whatever come from another third-party website, your podcast/inforgraphic/whatever should effectively transfer PageRank and direct traffic to your website without limitation/expiration. In other words — as long as the landing page is live and the link on the third-party site is live, the link (and it’s PR power) shouldn’t have a shelf life. So, a link from an article to an article — or a link from an article to an inforgraphic housed on a landing page — or a link from an article to a podcast housed on a landing page — all of those scenarios are good long-term links. Now, social media; that’s a whole other story. Links shared in social media send lots and lots of traffic to your website, but they don’t ever pass PR. They (links in social media) also have a very short shelf life (IE: once you scroll past the Tweet that contains the link in your feed, it’s more or less dead and in the past). For this reason, I think striving to get links in social media should really be considered part of a viral marketing strategy, not a “link acquisition” strategy. And, yes, I think links in social media are “more perishable,” without a doubt. I think fresh content –from infographics to how-to articles and podcasts — is always good and I think fresh content housed on HTML landing pages is a central component to a lasting link building strategy that attracts high-quality links. If “fresh link building” = link building that is contingent on fresh content, then — sure! I can get behind that. I definitely don’t think link building works with old, stale content that isn’t worth talking about (re: content that is the opposite of fresh). Do I think we are “moving toward” what we’ve pegged in this conversation as “fresh link building”? Or, said another way, do I think we are moving toward link building with interactive content like podcasts and infographics? Meh. Really, I think we should already be there. I think every content strategy — and, accordingly, every link building strategy — should include lots of different kinds of content, including Engagement Objects and plain text articles. It’s not really a movement in my mind as much as a 2014 best practice. Link building counts above all ranking factors but still we can’t build freely.. Thanks for sharing an awesome tricks!! I had already started using Social Media and Blog Commenting to build a quality links for my site. Hi, Anne-Marie Ronsen! Glad you’ve got link building on the mind! (We don’t think Google’s going to stop using links as a ranking factor anytime soon.) That said, remember that the links you include in blog comments and on social media sites don’t transfer page rank, so you should consider those links a part of your holistic marketing strategy (they will drive traffic to your website and they can inspire word of mouth marketing), but not a part of your link-building strategy. If you want to work on link building (in order to improve the ranking of your web pages in search engine results pages) you need to create valuable content that inspires other highly relevant (and, ideally, authoritative) websites (and blogs) to add links to your content from their website/blog. 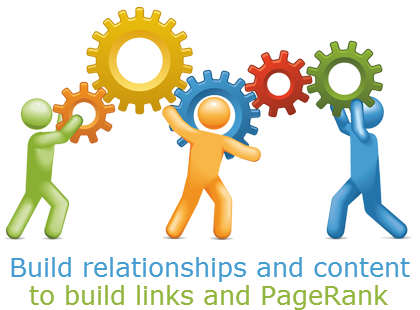 Link building is the process of building inbound links for your websites. The popularity of a website or blog is sometime determined by number of inbound links. Link building helps to get more visibility of your blog in search result. And it also helps in getting indexed in search result easily. Thanks for sharing. really got me thinking that I have been doing things the wrong way! That’s a great tip, isn’t it, William! It all really goes back to the number one rule of all content creation — think of your end users needs. Are you sending an email to a high profile author, web owner, or CEO that has hundreds of emails to comb through? Of course they don’t have as much time as you and I might to read a small novella of an email. By the time they get to your email they already have their finger on the delete button; the decision to chop it or continue happens in a fraction of a second so it’s critical you say the exact right sentence first. I also love that tip. I think about it not only when I am link building, but also when I am reaching out to seek blog collaborations, interviewing for jobs, or communicating with upper management (the CEO of VP of the company that employs me). Link building has its right ways and wrong ways of making impact. With a conference like the SMX it becomes healthy to checkout natural and effective link building strategies. I appreciate the presentation of this post especially as regards to the different takes from past and future panelists from SMX. I have left the above comment in kingged.com – the content aggregation, syndication,social bookmarking, and networking community for Internet marketers, where this post was found, shared, and “kinged”. Thanks for reading, Sutopo. Agree — a lot of the time we spend working on link building goes toward automating the checking process, storing the information in a database, and tracking the changes over time. Have you developed any automation/database/trcking tips or tricks that you’ve grown to love? Would love to hear more about your process! Reading this it makes you realise what has to be done even though it may seem like common sense. Things like linking only to sites within your niche may seem like an obvious notion, but it really is important. Tracking as you also pointed out is also important; and I don’t think it is something that small businesses especially, really think of as a necessity. But I like to think of my business as a store; in a shop you can see what sells best and can analyse why this is. If it’s a shoe store, is it colour or positioning, sale items or shoes with matching bags. This is something that can also be done with any on-line business, because you are looking to see what is making customers interested and what is keeping them coming back. Yes — you’ve got it, Jayne! With every online marketing endeavor it’s all about planning, launching, tracking, listening, auditing, reviewing, tweaking/learning, and launching again. There’s a lot that goes into each step, but none are expendable.